You’ve landed the big one – the distributor who can, with the right support and the right brand – help get you key placements in the top accounts in the big city. But how do you prepare yourself, your team, and your new distributor so that you can maximize the effectiveness of your introduction, particularly in New York, one of the most expensive, most important break-in regions for any supplier? How do you put together a launch that will start you off with a bang, win the attention of their drivers and your retailers, and, most importantly, provide a framework for sustainable growth? Big Geyser’s Jerry Reda will tell you how. Through Big Geyser, Reda has helped some of the most significant entrepreneurial brands in the business either get into or grow in the New York City area, from Honest Tea and ZICO to the recent launch of “superdrink” Body Armor. Reda will use his experience and examples from previous work with these and other brands as a way to explain to beverage entrepreneurs what kind of launch preparation is necessary when working with a key distributor, how to build a timetable and incorporate your marketing strategy into the launch, what the metrics for success are, how entrepreneurs and distributors can build a team capable of taking New York City by storm, and much more. About Big Geyser Inc. Big Geyser, the premier and largest independent, nonalcoholic beverage distributor in New York is a family owned and operated distribution company founded in 1986. With more than 25,000 accounts within its territory, Big Geyser represents brands from Coca-Cola, Dr. Pepper Snapple Group, Nestle and other leading companies. Big Geyser has established itself as the “Go To” beverage distributor in the influential New York metro market and maintains a premium portfolio of brands. Big Geyser directly services all channels of trade in the five boroughs of New York City, Nassau, Suffolk County, Long Island and Westchester County. Big Geyser prides itself on building brands and has cultivated an enduring reputation in distribution, delivering an unsurpassed level of customer service, operating 7 days a week 24 hours a day. 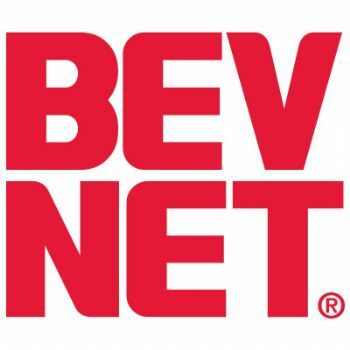 Reda will be speaking at BevNET Live in New York. The event will be held on June 4 and 5 at the Metropolitan Pavilion. For more information, contact BevNET at sales@bevnet.com or 617-231-8821.